A few decades ago, cosmetic surgery was considered to be something enigmatic enough to have been opted for only by celebrities and people who could afford expensive cosmetic transformation. But over the past few decades, the world of cosmetic medicine and surgery has seen progress like never before and now not only the cosmetic treatments have become affordable they are becoming popular even among the common people. Earlier, most people undergoing cosmetic surgery were the ones who wanted reconstructive surgery post trauma or some medical condition like cancer which require cosmetic intervention for restoration of functionality, aesthetics as well as the symmetry. Whenever we talk about cosmetic and plastic surgery in India, there is one name that I sure to come up. Dr. Debraj Shome is one of the best cosmetic and oculoplastic surgeons in India who has changed the way cosmetic surgery was perceived in the Indian society. Facial Plastic surgeon India provides world class cosmetic surgical procedures in Mumbai. Facial Plastic Surgeon India provides practically all cosmetic and plastic surgical procedures that a patient may be requiring. Their versatile portfolio includes several clinics and reputed cosmetic surgeons from all over the country on their panel. The long list of services offered by Facial Plastic Surgeon India can be divided into three categories; cosmetic, oculoplastic and non- surgical services. Cosmetic surgical procedures and services offered by FPSI include but are not limited to brow lift, cosmetic ptosis surgery, face lift, facial implants, scar revision, blepharoplasty, otoplasty etc. Dr. Debraj Shome is super specialist oculoplastic surgeon and complicated oculoplastic surgeries are also carried out at FPSI. Surgery for orbital tumors, lacrimal surgery, surgery of eyelids, Botox for Hemifacial spasms, socket surgery etc are successfully performed by Dr. Debraj Shome. FPSI also offers non surgical cosmetic enhancement procedures which are often short duration procedures. Anti ageing procedures such as Ulthera, Thermage etc. are performed successfully for skin rejuvenation. Botox for masseter hypertrophy, laser skin facial rejuvenation, fillers for anti wrinkles treatment are some of the most popular treatments carried out by FPSI. 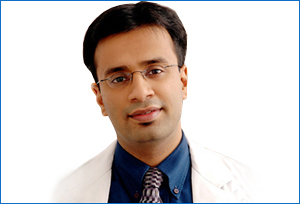 Dr. Debraj Shome has achieved milestones that no other cosmetic surgeon in our country can boast of. He has numerous degrees from some of the most prestigious institutions in the world and has worked with some of the most reputed hospitals as well. He is one of the few noted surgeons in India who have a Wikipedia page to their name. He has authored more than 40 research papers which have been published in some of the world’s most esteemed medical journals. At FPSI, you can be sure that all your cosmetic needs will be taken care of by some of the best and world class surgeons including Dr. Debraj Shome himself.